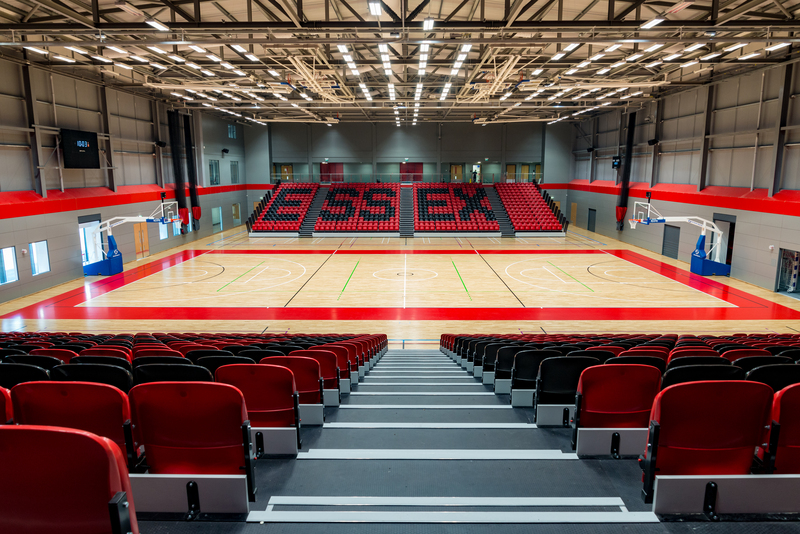 With over 2,000 m2 of floor space and seating for up to 1,655 people, the £12million Essex Sport Arena is another innovative facility where DYNAMIK Sport has installed their world class sports flooring. Essex Sport Arena is home to the netball super league team Benecos Mavericks and has three netball courts, eight badminton courts, three basketball courts, five volleyball courts and two futsal courts, all available for hire to sports groups. The arena boasts DYNAMIK’s A4 area elastic sprung floor which we hope will play some part in supporting elite sport and the future successes of the Mavericks and teams such as the Essex Rebels who join the ranks of WBBL this season. Sport arenas are not only available for sporting events, many offer multi-purpose areas making them suitable for exhibitions, conferences, trade shows, celebrations, weddings or any other large-scale event. Fully capable for staging televised events this is a truly spectacular venue. DYNAMIK provide free of charge quotations and school surveys which are carried out if a school is looking to upgrade or maintain their sports flooring.